I listen to other people. It's a habit I developed a while ago and it has served me well over the years. I listened to my stepdad when he told me to save a percentage of my paycheck every month, no matter what. I also listened to my actual dad when he told me to buy the motorcycle I wanted, because you only get one shot at life and you gotta live it up. I've found that most people who want to tell you something have a reason for it, especially if it falls under the category of advice. Don't get me wrong; I don't take all advice I get, I just listen to it. There is a big difference between listening to what someone tells you and acting on it. I acknowledge that there are wiser people than I in this world, but I also don't sell myself short. When it comes to Magic, I'll listen to almost anything anyone says. Sometimes I disagree with them, and sometimes I will make them aware that I disagree with them. Other times I just listen. It's important to see how different people approach this game. 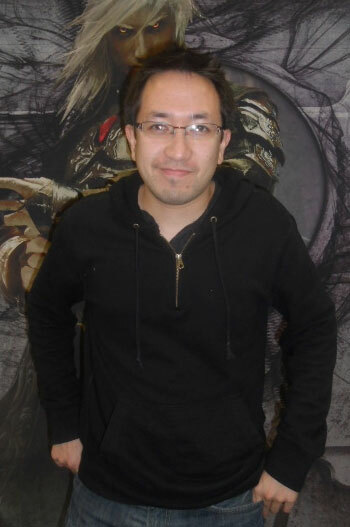 Thanks to my gig on the video coverage team for Wizards of the Coast, I'm exposed to many professional Magic players. Having befriended some of them, I get to ask them questions. And I get to listen. Recently, I asked Ben Stark a question about a pick in a draft, but I already knew the answer. I just wanted to see how he would approach the question, and what direction his answer would take. In a world of "not remotely close" descriptors, it's a valuable resource indeed when someone will explain his or her thought process. The person I get to listen to the most when it comes to Limited, though, is my podcasting cohost, Brian Wong. For those who don't know him, Brian is a bit of an enigma from the Pacific Northwest Magic scene. He's a world-class Limited player but doesn't enjoy traveling to tournaments, so he stays relatively unknown on the professional Magic circuit. After our first podcast together, I knew he would be a great fit not only for the show, but for me too. In fact, we may be too similar when it comes to how we view cards and formats. (The truth is that I like the unified front.) As a result of doing the show with him for a while now, I have assimilated some of his strategies into my own. I've heard Brian talk about all types of topics in Limited, but the one that has stuck out the most is the Quadrant Theory. I teased this in an article a while ago, and today I am going to teach you my version of the Quadrant Theory. Quadrant Theory is a way to view new cards in order to help you come to a conclusion. It's a card-evaluation technique, and it puts cards on an interesting axis that you may not have considered before. The first thing to understand is that in Limited, board state is queen: 99% percent of games in Limited will be decided by board state. There are essentially zero strategies in Limited where you can ignore the board. 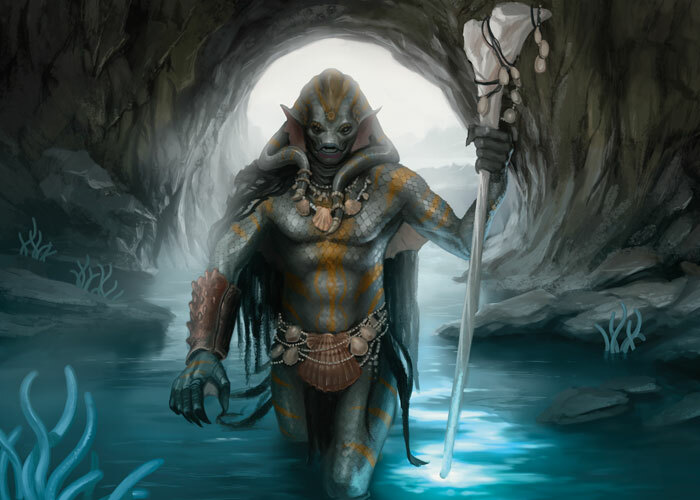 In Constructed, there are decks that can simply "goldfish"(play your deck, ignoring your opponent's actions) their way to victory. Limited games are won by creatures. 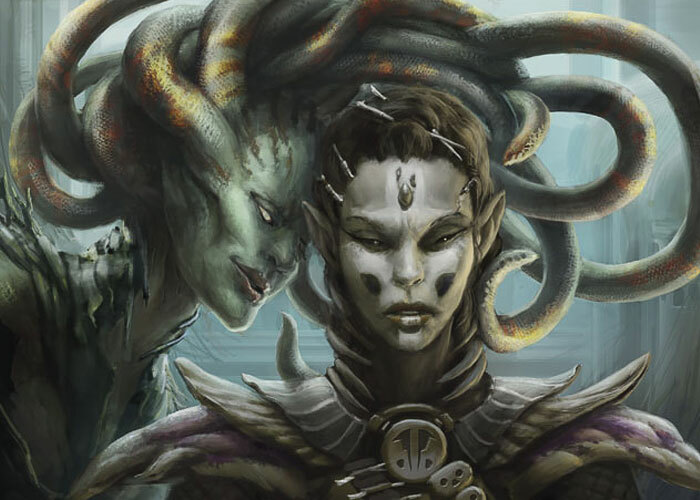 You need more creatures than your opponent, or bigger ones, or more evasive ones. Or removal to mitigate your opponent's board state, thereby improving your own. Parity. Both players have played most or all of the spells from their hands, but neither has been able to establish a dominating board position. It's a stalemate, with the top of the deck providing the only fuel available to both players. Winning. You have two big flying creatures attacking in the air while your walls gum up the ground, for example. If nothing changes, you win the game in three turns. This is one possible winning board state. Losing. See Winning, but the opposite. You are being beaten down by some threats you can't handle, and you need an answer fast. Look at each of these quadrants and specifically keep your eye out for what is most important from a card-evaluation perspective. Remember that a card can be good in multiple quadrants, so don't have the mindset of putting the cards into individual buckets. Opening or Developing. Cards that are good in the opening stages of a game are usually just cards that you can cast during this part of the game. Two-drop creatures are the bread-and-butter of this stage, but it goes all the way up to five mana or so. Tempo plays and combat tricks flourish here, as well as cheap removal. Cards like this let you get ahead, and stay ahead. 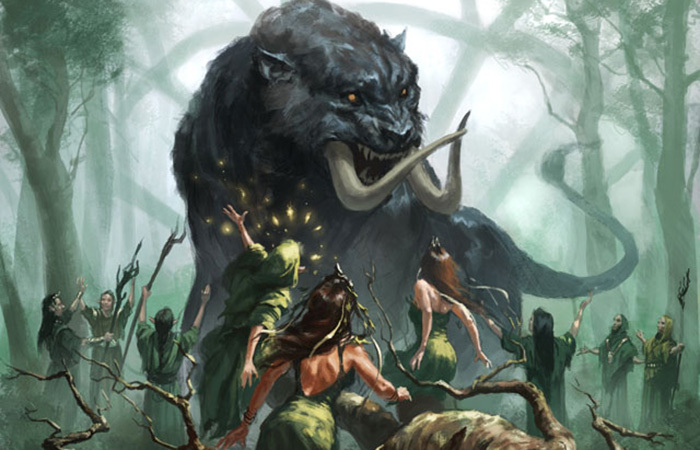 Magic 2015 examples: Void Snare, Frost Lynx, Runeclaw Bear, Krenko's Enforcer, Necrogen Scudder, Ulcerate, Oreskos Swiftclaw. Opening and developing is really just about making board impact, and being castable in the early stages of a game. The excellent cards are temporary effects attached to board-affecting creatures like Frost Lynx or Mist Raven. These are often less exciting in the other quadrants, however, so remember that. Parity. Cards that are good when the board is at parity are cards that are powerful topdecks in a stall. Usually, this comes in the form of raw power. Imagine drawing a Soul of [Anything] at this stage of the game. You now have the ability to overpower your opponent. While the board is stalled, you get to reload your hand and overwhelm your opponent with card advantage. Amphin Pathmage can also be a game-breaker on a stalled board. Just start making your team unblockable and the game ends quickly. Magic 2015 examples: Amphin Pathmage, Jace's Ingenuity, Soul of [Anything], Kird Chieftain, Burning Anger, Spectra Ward. A card that breaks parity does so by being a really big stick or by being a silent poison dart. Winning. This one is easy. Imagine you have a sweet opening hand where you play a two-, three-, and four-drop, right on curve. What a dream. But when you look at your hand after you play that four-drop, you realize you've only drawn lands so far and are out of gas. What do you need to leverage your currently superior board state and finish off your opponent? Generally speaking: any spell. If a card is good enough to go in your deck, it's going to affect the board and help push you onto victory. Sure, you'd prefer your big five- and six-drops at this point, but really anything would help turn this great start into a victory. 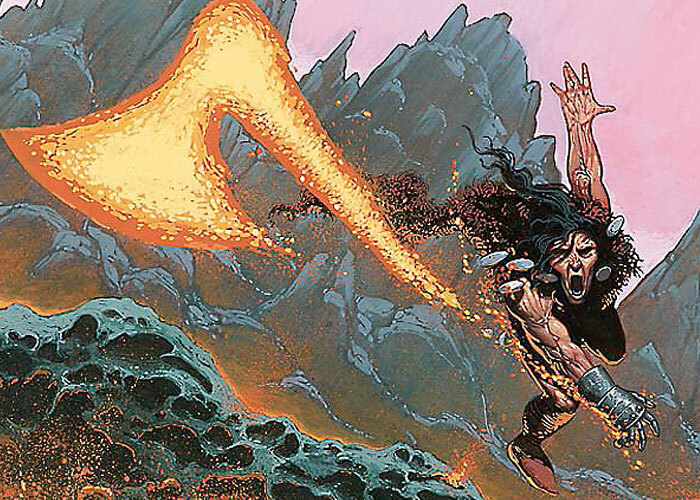 Magic 2015 examples: Lava Axe, Overwhelm, Sanctified Charge, Into the Void. The best cards here are the ones that slam the door as quickly as possible on the opponent. It doesn't take much to be good in this quadrant, but the best close out the game quickly. Losing. This is the most important and hardest quadrant to be great in. Cards that can dig you out of a losing position don't come around too often, and they are highly sought after when they do show up. What we are looking for here are cards that either kill a lot of creatures at once (like a sweeper effect) or creatures that block incredibly well. There are other types of cards, but remember we are focusing on board states here. The come-from-behind cards have to affect the board in a major way. 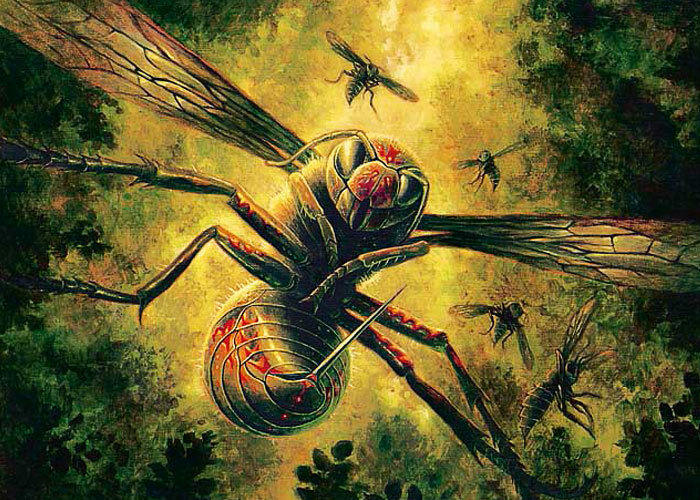 Magic 2015 examples: Hornet Queen; In Garruk's Wake; Mass Calcify; Rotfeaster Maggot; Jorubai Murk Lurker; Garruk, Apex Predator. Cards that excel in this quadrant are often prohibitively expensive to cast (see: In Garruk's Wake), and when they aren't, they are early picks. When you look at a new card, ask yourself how this card performs in each of the four quadrants. The goal isn't to find cards that perform excellently in all quadrants (although when you do, it's pretty amazing), but instead to find cards that at least do well in most of them. Cards that help out in the most diverse set of circumstances are more valuable than cards that only work well in some. Let's explore a classic example to test out the Quadrant Theory. This card has been remade in many different forms over the lifetime of Magic. 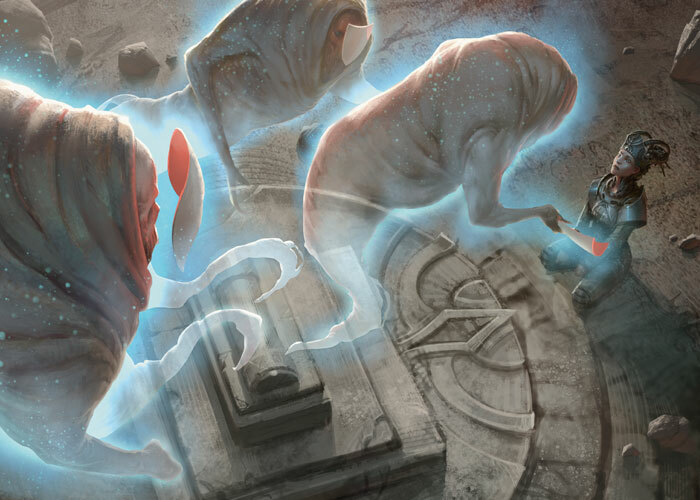 My guess is that we'll see it again someday, even if there isn't a version in Magic 2015. Developing: It's not very good here. We want to commit to the board, not temporarily affect it. Parity: It's not very good here, either. Getting in for one hit is nice, but it'll rarely break the game open for you. Sometimes you can steal a key creature to allow a game-winning attack, but usually it'll just be OK at best. Winning: Ah ha, this is where this type of card truly shines. You can absolutely slam the door on your opponent's chances by getting off to a quick start then stealing a big blocker and killing your opponent with it. Losing: Threaten effects are terrible while you are losing because they don't affect the board. Threaten effects excel at closing out a victory, but leave a lot to be desired in the other three quadrants. This is where you have to consider things like other synergies in your deck and how aggressive your deck is before including the Threaten card in your deck. Cards that don't affect the board at all, or require some arcane set of circumstances to be good, will often miss on all four quadrants. Cards that are good in all quadrants are the ones to keep your eye out for. Whenever you are looking at a new card, try putting it to the quadrant test to give you a decent idea of how good the card is in the most common variety of board states for Limited. What is the best quadrant card you can think of? One came to my mind right away.